As the greenery around The Mitten begins to change and the days grow shorter, I am getting excited to welcome fall in Michigan. The season brings many changes and some of my favorite things. Fall in Michigan would not be such an exciting time for me without all things pumpkin, chilly football tailgates, wool socks, and an abundance of multi colored leave piles! I’ve been trying to think of how to celebrate the season (without rushing summer to leave just yet! ), but all of my ideas seem premature. After all, it’s been a pretty warm September in Mid Michigan! I was running errands this morning and realized just how awesome Michigan as I cam across a small, stand alone store with a familiar black and red sign. I’ve stopped at this family owned Mid-Michigan convenience store and others just like it at least a thousand times. It’s safe to say I go at least a few times a week without ever stopping to think just how lucky we Michiganders are to have this little gem. If you’re anything like me, you fondly remember waking on up on weekends to the familiar scene of a large box of fresh donuts on your kitchen table or stop in every morning for quick cup of Traverse City Cherry coffee or swung by on your walk home from school, but have you ever took the time to appreciate how truly fantastic Quality Dairy is? Probably not. Quality Dairy boasts 31 locations through mid Michigan and with a mission like theirs we won’t have to envision life without QD for a very long time! I decided to do some digging into the history of the company to share its successes with all of you. Quality Dairy was founded in 1936 by Gregory Martin and Harvey Mack. The first store was located south of the Capitol in Reo Town. The first store location saw immediate success due to the booming Reo Motor Car Company in the neighborhood. Martin and Mack’s original idea was to provide bottle milk on a cash and carry basis to provide Michiganders easy access to fresh milk in stores rather than home delivery. The store started producing, distributing, and selling its homemade ice-cream in 1940. They also began carrying gum and candy at the time. In 1995, Harvey Mack sold his portion of the store to Martin who eventually brought in three new owners. Hand dipped hard ice cream became available to customers in 1969. In the mid 1990s, the company petitioned the Michigan Department of Agriculture to eliminate size restrictions on milk containers so the company could sell milk in non standard sizes. By 2008, Quality Dairy boasted the milk they were serving was hormone free as the cows on the dairy farm do not receive rBST, a hormone that increases milk production. The milk, as well as other QD produced drinks, is bottled under QDC Plastic Container a blow molding operation. This division of the company was started when QD saw a need to provide finer packaging containers. QDC Plastic Container also serves other beverage companies throughout Michigan. Over the 77 year history, Quality Dairy has expanded from the first store in 1936 to 31 locations in 2013. Some of the locations include gasoline pumps, Laundromats, liquor, beer, and wine. But all locations sell QD Bakery items including donuts, bread, cookies, muffins, and Paczki! The company makes 32 different varieties of donuts that are made daily in the company bakery . In fact, the bakery had to expand to a 37,000 square foot facility to keep up with the business in received from outside companies such as Auntie Em’s Bakery. 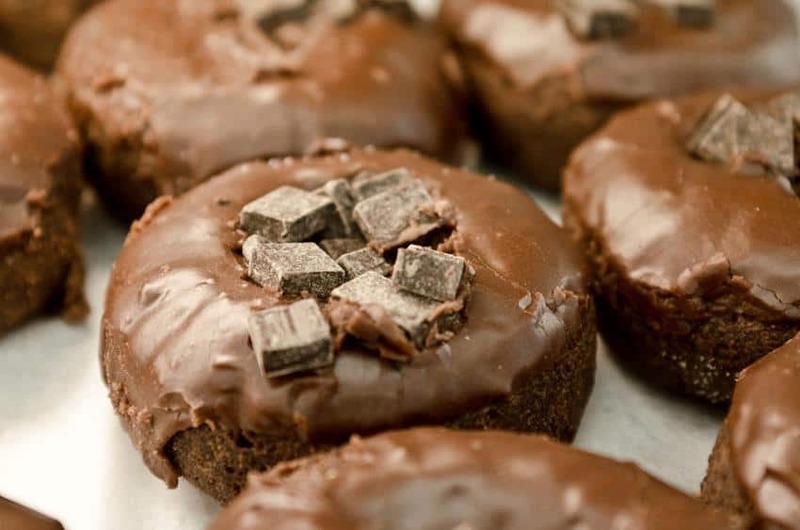 You can also order donuts online through QD Express to pick up ready to go the following day at your store of choice. If you haven’t tried their donuts, it’s an absolute MUST if you’re in the area. The company’s website reports that their best sellers are the old fashioned sour cream glazed donut, glazed blueberry donut, glazed cherry donut, and chocolate iced donuts. My personal favorite is the white cake donut with green icing and a white Spartan S. The company is still committed to their mission from 1936 to provide customers with products made specifically in Michigan such as Faygo Pop and Bettermade Chips,which go perfect with QD chip dip! 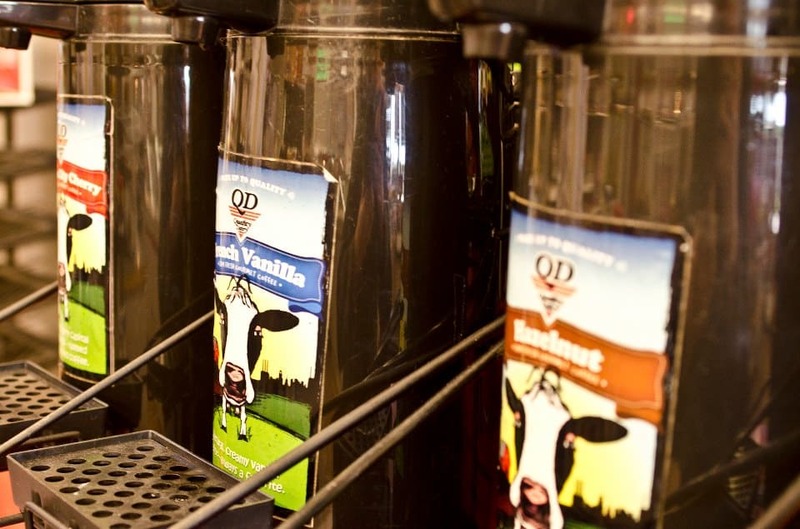 In August of 2013, Quality Dairy introduced a rewards program that provides cardholders a discount on fuel as well as reward points toward deal through store purchases. Cardholders can earn free cups of coffee and soft drinks through the reward frequency program. Customers can also save and stay up to date with current deals by following QD on Facebook and Twitter. There is also an email group for users who do not wish to follow the company on social media sites. In my appreciation for this little big Mitten company, I almost forgot: Quality Dairy is Lansing’s ONLY cider mill! 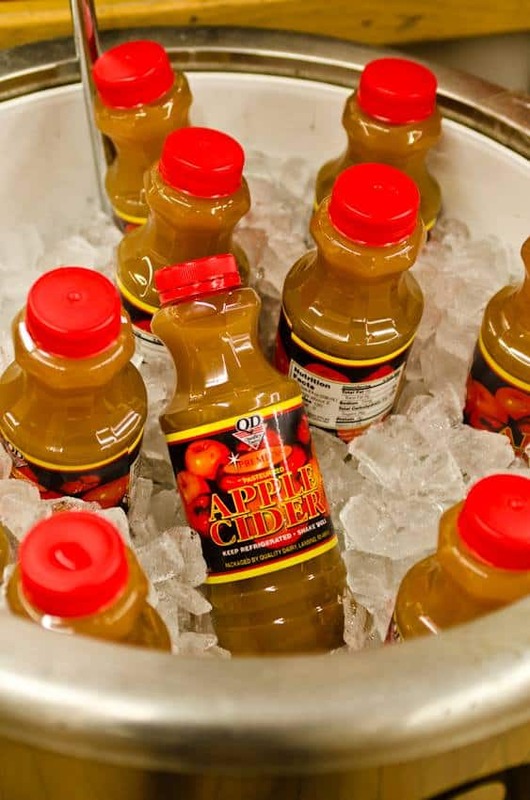 All locations distribute and sell locally produced Michigan apple cider. Be sure to stop into your neighborhood store soon for some cider and cake donuts to help celebrate fall while it’s still summer in Michigan! Tagged fall, mid-michigan, Quality Dairy.